Dateline 1978. I was busily applying ink and Zip-a-tone to a series of A-10 drawings for special 12-page edition of Pri-Fly, the IPMS Washington, DC, chapter publication. Our goal was to portray all of the color schemes carried by the Warthog. 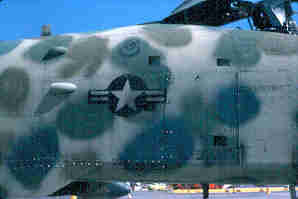 Both the Air Force and Fairchild Republic were offering a great deal of help, and the drawings were almost completed. 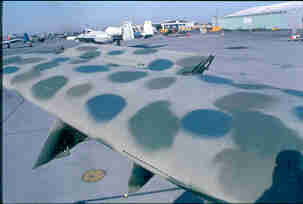 Then, photos began to surface showing an odd splotchy camouflage being applied at Nellis AFB, Nevada. Jaws, both the book and movie, was still quite popular, and the military found an excuse to turn the name into an acronym. Tactical tests of the A-10 and Army attack and observation helicopters became the "Joint Attack Weapons System." The Air Force was able to supply nearly two hundred detail slides and prints of the aircraft, enough that I felt I could fully reproduce the schemes on two of the aircraft. Detail documentation was incomplete for a third aircraft, and the fourth was no longer available. We expanded the monograph to sixteen pages to fit in the new drawings, and published in August 1978. The drawings were republished several times, including Microscale sheet 48-69. In trying to scan them for this article, however, I couldn't get comfortable with the resolution, so I spent a couple of afternoons "coloring them in" with photo shop. The drawings are only schematics, but we're including several of the better photos to help any modeler who wishes to try to get all the spots in the actual locations! Only five colors were used initially, though a couple of others were used for later touch-ups. One aircraft (75-259) used all five colors; the two tan aircraft (75-258 and 75-262) did not use the gray, and the gray aircraft (75-260) did not use the tan. The colors were: gray 36213, dark green 34092, olive green 34102, brown 30118, and tan 30227. 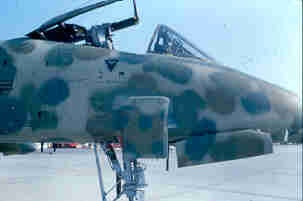 Modelers should note that early A-10s displayed a number of detail differences. These will be particularly important for any of the newer kits, such as the 1/32d scale Trumpeter model, but several of the older kits can be built as the early production aircraft will no modifications. The USAF had originally planned for ten pre-production aircraft, all to be built at Farmingdale, NY. Congress cut the funding to six pre-production airframes after work had begun on ten, so the last four pre-production aircraft simply became the first four production aircraft. 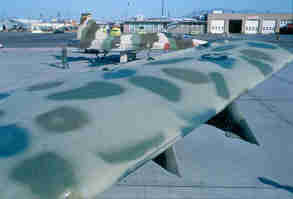 Three of those four aircraft wore the JAWS camouflages. The effects on modelers are minor: for aircraft 75-258 through 75-261, the flaps could deploy 30 degrees, and the flap guides extended several inches beyond the wings' trailing edges. 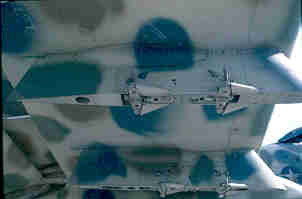 For aircraft 75-262 and all subsequent A-10s, the flaps deployed only 20 degrees, and the flap guides were flush with the wings' trailing edges. None of the JAWS-scheme aircraft were delivered with the dorsal formation/flood light, though both 75-259 and 75-262 had one fitted to by the time they received the spotted camouflages. None had chaff/flare dispensers under the wingtips or on the wheel sponsons. The next article will include photos of 75-258 and 75-260, and the last article will have drawings and photos of 75-259. This article will concentrate on 75-262, the first production aircraft delivered from Fairchild's Hagerstown, Maryland, facility. 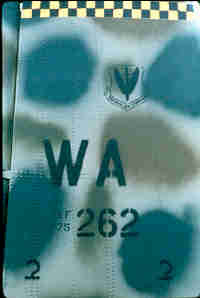 Accepted on 31 March 1976, 262 reported initially to the 355th Tactical Fighter Wing at Davis-Monthan AFB, Arizona. 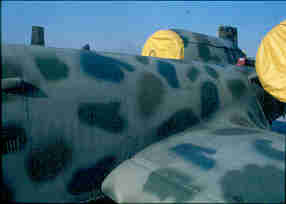 There is some controversy over its original, delivery camouflage. 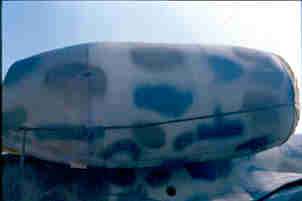 Air Force records show that the aircraft was evaluated in 36320 Dark Ghost Gray undersurfaces, with special 40% reflecting MASK-10A paint on uppersurfaces and sides. 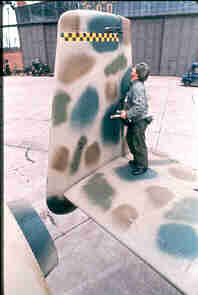 (The unusual MASK-10A paints had no FS595 equivalents, and changed colors under different lighting conditions.) Fairchild factory drawings agree about the Dark Ghost Gray, but claim that a lighter 50% reflecting MASK-10A was applied to uppers and sides. After moving to Nellis, 262 became one of the two spotted A-10s to participate in November 1977's JAWS II exercises. It also flew out of British and German bases in early 1978 during European evaluations and tests of the Imaging Infrared (IIR) AGM-65D Maverick missile. 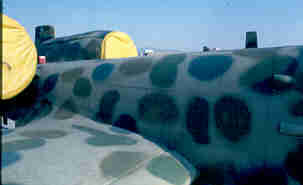 The aircraft's spotted camouflage included a base coat of tan 30227, with spots of dark green 34092, olive green 34102, and brown 30118. 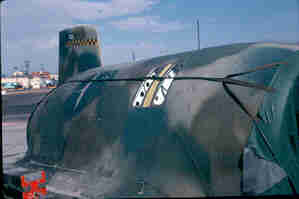 Two rows of nineteen black and yellow checks were painted atop the inside and outside fin surfaces, and a low-vis black wing insignia was stenciled on either side of the fuselage above the national insignia. The right side of the forward fuselage shows the 57th shield above the national insignia. On later aircraft, the INS air intake would be fitted above, and slightly forward of, the unit insignia. 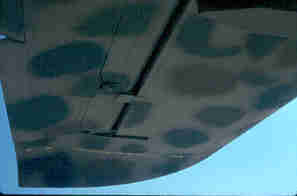 An exhaust would appear aft, just above the other two exhaust ports. The mount for the Pave Penny pod was attached for this photo. Note the small radar warning antenna mounted forward of the open nose gear door. 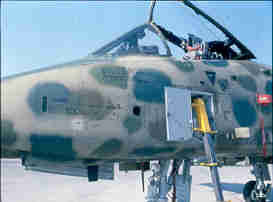 The left side of the nose shows the original square boarding ladder, the flat-faced ammo loading door, the black knife-blade antenna beside the nose wheel well, and the top of the old ESCAPAC ejection seat.